This is a superb and historically important album, a compilation of music by indigenous musicians in Canada 1968-1985. It’s telling that I had only heard one of these tracks before hearing the album; it points to a disturbing lack of airplay of native music during those years. This album belongs in every music collection in Canada and beyond. The record has received uniformly rave reviews. Read the Guardian article, and Rolling Stone also gave it a high rating. And yes, I know, Rolling Stone committed suicide—again—by rating U2’s album #1 in the year’s 50 best albums this year, but it is not wrong in this case. 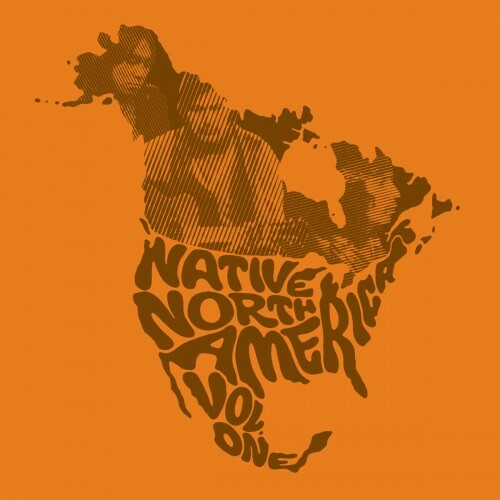 Native North America Vol. 1 was compiled by Vancouver music producer/DJ Kevin ‘Sipreano’ Howes, who researched the era for years, not just in archives but by driving across the country finding rare local releases that had never been exported beyond their own regions. Watch a very shot doc including appearances by some of the album’s key figures below. Vol. 2 is in the works now and will cover work from the same period but by indigenous artists in the U.S.
Buy this album. Preferably from Light in the Attic Records but it’s also on iTunes if you must. This entry was posted on Monday, March 9th, 2015 at 11:31 pm	and is filed under British Columbia, Canadian design, music, Vancouver, video. You can follow any responses to this entry through the RSS 2.0 feed. You can leave a response, or trackback from your own site.